Given the rapidly growing popularity and significance of Big Data and its capabilities, the field of data science and analytics is bound for a slew of improvements and innovations within the duration of the coming year. Observing the recent changes and big data trends that adorned the previous year, we look forward to the recent big data predictions 2019 with hope and admiration. With the extensive collection of data about the recent trends and by following their growth, making a prediction about what next year is going to bring for the field of Big Data is relatively easier now. 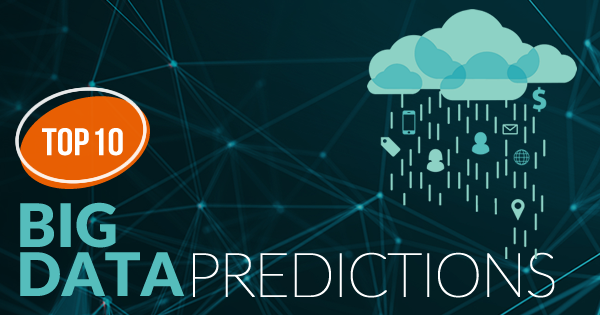 Some of our big data predictions are detailed in this article as below. 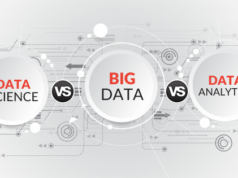 You must be eager to know what the technology experts predict about the Big Data in this year and what will be the latest big data trends in 2019. To answer all of your questions, here we have compiled a list of top 10 big data predictions 2019 given by the technology experts. Let’s read on! Previously, enterprises were mainly focused on generating relevant data weekly, monthly or annually but given the competitive space and the ever-changing stream of data, enterprises are to prioritize real-time data streaming as a necessity to step above the competition in 2019. By diverting their attention to live data streaming capabilities, organizations can analyze data as soon as it becomes accessible. This drastically improves the entire process of data analysis and allows major data science industries to get aware of data trends the moment they happen. The potential for real-time data streaming services extends much beyond than making industries aware of data trends instantaneously. The applications for live data streaming technology would be crucial also within the field of Artificial Intelligence and Machine Learning. With a constantly updating stream of data available at the AI-enhanced machines’ access, it’ll be able to update the user with accurate predictions about the market by efficiently and instantly analyzing any frequent changing patterns within the real-time data stream. According to Gartner, expenditure on real-time data analytics in 2019 will increase three folds when compared to the expenditure on data analytics that isn’t real-time. The increase in attention to real-time data analytics is owing to the demand from the customer’s end for faster execution times and to the desire to bring out digital transformation and a data-driven culture. As the significance of mature and reliable data sets came into the view of industries, data slowly but successively set its roots as a crucial factor for predicting the market. It also helps businesses in making critical decisions involving the future of an enterprise. Given its current importance in the industry, Data being utilized as a service that can be offered to third parties is too far-fetched of an assumption to make about the future of big data. According to IDC, during the course of the next year, data will be responsible for generating revenue. Almost 90% of the large enterprises will be generating revenue from offering data as a service. The data sets will be used to deriving insights and generating recommendations for third parties, hence justifying IDC’s quotation. The sale of raw data to generate revenue will also be another method for these large enterprises to introduce themselves to the field of data as a service. Despite the prediction of most of the large enterprises offering data as service, organizations have already been generating revenue from the same. Such companies will likely scale back their operations by a considerable margin owing to the recent data scandal at Facebook. 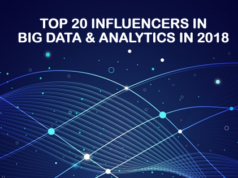 Here are the top 20 Big Data influencers you should follow in 2019 for a revolution in your big data career. Given the ever-growing collection of data sets, the organizations desire to reduce cost and increase efficiency within the data analytics process. The enterprises are likely to spend more on cloud computing solutions compared to the traditional on-premise solutions. Big Data and Cloud Computing have now become a perfect combination for the businesses over the industry. As quoted by the representative of Forrester, it is estimated that global spendings on big data solutions via the cloud will grow up to 7.5 times faster than on-premise solutions. Artificial Intelligence has been touted to transform the technical field from the inside out ever since the inception of its concept. Considering the rapidly growing rate of industries adapting to the idea of artificial intelligence and its enhancement through big data, one of our big data predictions is that 2019 might be the year when the inevitable transformation begins to lay down its initial roots. Owing to the dependency of most of the major enterprises of today on the use of big data to make crucial decisions, Artificial Intelligence as service vendors will be able to provide efficient, low-cost AI-powered tools to specific businesses that have already built out their data sets priorly. That will be the moment when the age of Artificial Intelligence will be ushered into reality. As consumers, you’ll be experiencing major improvements in the efficiency of our day to day tasks given the wider use of enhanced AI technology. The ever-increasing collection of data within industries has known to, at times, raise some moral questions. Regardless of how extensive of a data collection a machine or system might be using, it will remain incapable of taking critical decisions where data isn’t the only thing that is needed. For a machine to answer ethical questions or base its decisions on some ethical background, data has to be looked at from a new perspective. This act of change shall bring about the birth of Ethical Intelligence as a concept and as a field that might be implemented within the AI-powered machines to simulate a closer human-like thinking network. The possibilities for implementing such an advanced thinking model are virtually endless. They can be used for taking crucial business decisions that align with the ethical realm and doesn’t compromise on human morals. Given the rising need for Ethical Intelligence as a field due to the rapid growth of AI technology, one of our big data predictions 2019 says that this year might be the year where EI will be brought into reality for improving the former. One of the big data predictions by Gartner predicts that 90% of the major global companies will have a Chief Data Officer (CDO) at the helm by 2019. Since most of the major players in the technology-based industry have got onto the Artificial Intelligence and Machine Learning bandwagon, the need for big data to properly utilize said technologies is more of necessity now. The aforementioned need for collecting data also brings forth the need to appoint a department to overlook the proper functioning of the same. Hence saying that CDOs will become more common in industries is one of the most accurate big data predictions. With the increasing collection of data within organizations, an option to reduce the lag between the processing and the collection process is required more than ever. One of our big data predictions 2019 relates to the same. In this year, edge computing will be much more emphasized on than it has been in previous years. To better understand how edge computing can help in reducing lag, one initially needs to understand what edge computing is and how it works. Edge computing is defined as a method of cloud computing where the servers are brought to the “edge” of the cloud computing barrier. This essentially means that the servers that process and collect said data are brought as close as possible to the users to minimize the lag duration. The data, instead of being sent thousands of miles away in a large server room, is processed and collected as close to the source as possible which most of the times mean the smart devices that are sending out the data themselves. With Edge Computing, these devices can process and collect the data themselves by accessing the closest node to the edge computing enabled server located nearby. Owing to the decreased data flow, Edge Computing ensures better performance and also reduces cloud computing costs. Due to the closer interface, data analysis through edge computing is significantly faster. This enhanced processing speed could be vital in applications such as self-driving cars where ever passing moment before execution of an action matters. Given the conveniently numerous features that edge computing offers over cloud computing, one of our big data predictions include a hike in popularity for edge computing. #8 Natural Language Processing: Integrating Future. 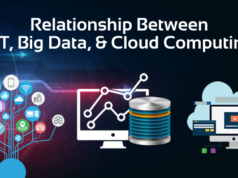 In today’s day and age with big data getting ‘bigger’ by every passing moment, retrieving data quickly and efficiently is becoming an urgent requirement that needs to implemented in the coming future. Fortunately, the elements for making the said requirement feasible are already in place. Natural Language Processing is a sub-section of Artificial Intelligence field and is used to interpret verbal human language and convert it into a machine-understandable language. This allows us to avoid writing complex commands that demand some technical understanding as a prerequisite and just converse with the machine as we would normally do. Integrating this NLP within big data will allow for easy and faster data retrieval speeds. It’ll be in 2019 where the enterprises will truly embrace the technology to make the most of their data sets, says one of our big data predictions. Also Read: How to prepare for a Big Data Interview? Given the increasing hesitation within consumers for giving away their personal information in trade for using an application provided by an organization, privacy will be a major concern going into next year. It is rather easy to deduce that organizations will emphasize protecting a user’s data as a prioritized task. Considering the events of the past year, hackers have proven to break even into what was supposed to be the most secure databases in the world. Adding to that, court hearings for major technology giants in regards privacy and security of personal information has made consumers all around the world relatively more aware about the significance of protecting their data compared to how they were in the previous year. One of our big data predictions says that 2019 will be the year where privacy becomes mainstream. Considering the growing collection of data within enterprises, data cleaning for generating uncluttered and reliable data will take center stage in 2019. Data scientist are known to spend 60% of their time cleaning data before they are able even to start building reliable data sets and designing relevant algorithms, says a report generated by Forbes. As the size of the data that is to be cleaned increases, new and more reliable cleaning algorithms will inevitably be developed to make the entire process more efficient. 2019 will be the year where cleaning data quickly and efficiently will become a prioritized task, so says our big data predictions. Preparing for a Big Data interview? Get yourself ready with these top 50 Big Data Interview Questions and Answers. Despite the collection of trends and data about the same, predicting every major moment that enhances the field of big data in some way is not entirely possible. Although, the above-mentioned predictions are the most probable to come true considering the related consequences that have transpired in the previous year. Regardless of how accurate our big data predictions might be, the only thing that is certain about the latest big data trends 2019 is that it’s going to a memorable year for the field of big data and for every related domain that links to the field of big data. Big Data market has already experienced a considerable trend with the merger of two big data giants – Cloudera and Hortonworks. If you are aspired to build a career in the field of big data and data sciences, you can be certified in the same through the big data certification courses.